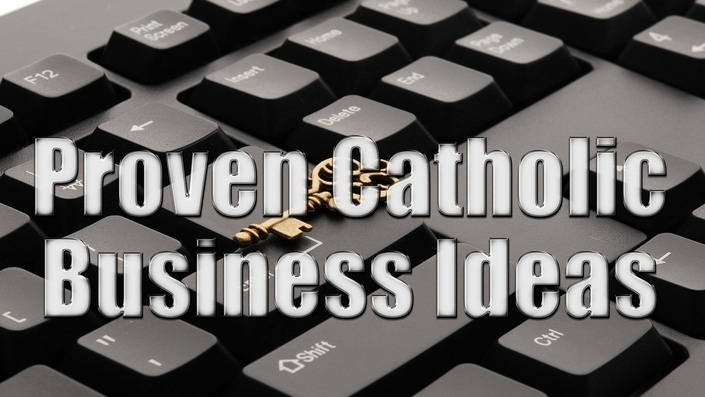 The Proven Catholic Business Ideas course is the #1 course that shows you how to truly build a business that provides for your family and helps you to become a better Catholic. Why take this free course? That's close to 3 hours a day! Multiply that by 7 days and you have close to 21 hours a week of Catholic men and women watching television. Here's the funny thing, many Catholics think that business is bad, and spending time on business is even worse because you should be praying, etc. Well... if that's true, why are you watching 21 hours a week of television. I believe with the Catholic author Edwin Freedley that business is a "Fiery furnace to principle" and that it is good. This course is designed to help you to see that business is a great thing for your family and for your soul. Plus, you'll learn how to make independent income for your family right away! If God is calling you to start a business, this is the free course for you!
" Thank you for sharing this valuable info... Dean you rock!" I am so happy to have received this feedback from one of my real-life customers because it explains exactly the value I hope to give you in my Productive Catholic courses! I am a Catholic Husband, Father, and Internet Entrepreneur. If you want to learn how to start and run your own business, or about Catholicism, I am your man. I love both and am passionate about helping others to fulfill their dreams. What qualifies me to share my experience with you on Productive Catholic? For I have been an entrepreneur that has done eveything from in-person sales, web development, outsourcing overseas, creating information products, marketing automation, and membership sites. I currently make a full-time living from what I do. In these five years, I have managed the marketing campaigns of not only my own company but several others, found hundreds of clients in nearly every US state, Canadian province, and more than twenty countries. You can count on me to honestly share with you the best of what I have learned that works to build a company online. Over the last 3 years I, along with my business partner Brett Bartlett, have become one of the most influential people in the Amazon FBA selleing industry and have created numerous courses that have helped hundreds of people to grow their business into something they love. I am a devout Catholic, and have synthesized Catholic business ethics through everything that I do. That means you can trust that what you'll learn from me will always be morally and ethically sound. In 2015, I have committed to partnering up with some of the best business entrepreneurs and Catholic authors to bring some amazing business and spiritual courses to Productive Catholic. That means that you'll be getting some of the best Catholic business information that is available on the Internet. What experience prepared me to be successful online? 10 years working for one of the largest aerospace companies in the world. One of the original members of ConnectOC, a social media charity that brought people together and sponsored over $400,000 in gifts and donations. Owned a successful business for over 5 years. Family: I have a beautiful stay-at-home wife and 5 wonderful kids that I support through all of my Internet ventures. 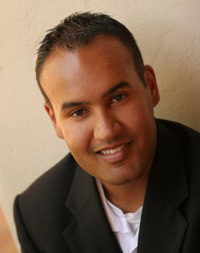 ➲ How can I best serve your success online? Try one of my courses today to find out or learn more about what I have online! ♦ 5+ courses on my website show you how to successfully sell on Amazon and other online platforms. ♦ 60+ podcasts episodes on iTunes will speed up your learning while you are on the go.